Noel Pycroft was born at Hayling, in 1928. His family is remembered for its brickmaking business. Noel told me that when he was about fifteen he began to supplement his income by gathering winkles from the Mill Rythe area and selling them to the Russell brothers at Langstone. He collected up to 22 gallons per weekend but it was an awkward load to transport. Noel solved this problem by making a trailer which he attached to his bike. When the Russell brothers gave up their business, Noel sold his winkles to Joe Matson, a Havant fishmonger and poulterer. 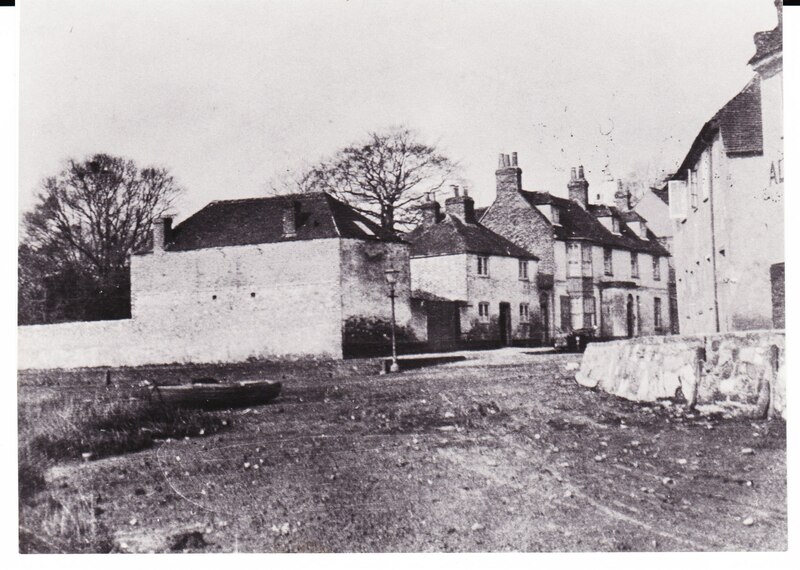 In the 1880s The Winkle Market was a two-stalled stable, for Langstone House, with loft over. In 1899 the whole property was purchased by Henry Russell, an oyster merchant, who died in 1916. In the mid-1940s, when Noel began selling his winkles to Henry’s sons, there were several sheds on the site. Oak gallon and half-gallon containers were used to measure the winkles. John Stride used a two-wheeled trolley to take them to Langstone station and from there they went to Mac Fisheries in London. Stride also collected winkles which came here by train from Lymington to be sorted and distributed. Other supplies came from Emsworth fishermen, and if the Russells were short they used black winkles from the harbour bar. These fetched less, as they tended to be small and had to be sieved. In 1954, The Winkle Market was converted to a house by Lt-Col Selwyn Guise Cutler RM and his wife. ‘Cuttles’ was born in 1898 and after retiring from the Royal Marines he became a Queen’s Messenger. He was known in the village for his ‘home-brew’. He died in 1970.